Proudly show off your manly prowess in this awesome 'Italian Stallion' bath robe! 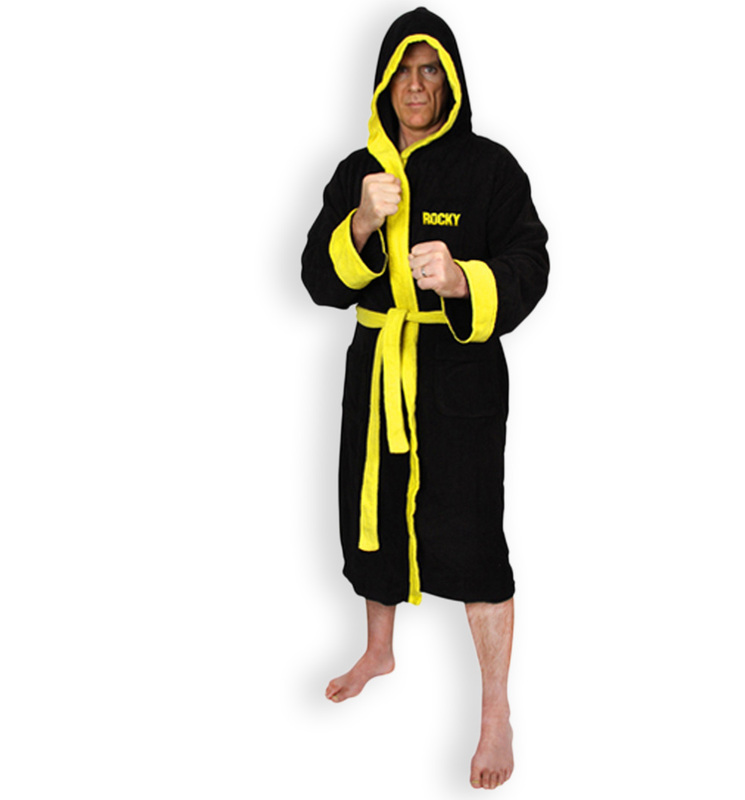 An official Rocky product, this remarkable robe is definitely worth fighting for! Move over Stallone, there's a new man in town! - Features a Rocky emblem on the chest and Italian Stallion embroidery on the back.